It’s not often that savings like this come along. Plus, with Walmart’s deals selling like proverbial hot cakes over the last few hours, there’s every chance that the second full rebooted outing from IO Interactive could go the way of so many of Agent 47’s targets: gone in an instant (or stuffed in a locker, never to be seen again). If you haven’t been keeping up, this isn’t an episodic release, either. This is the full-fat version, complete with six sprawling locations and a unique multiplayer mode to die for. 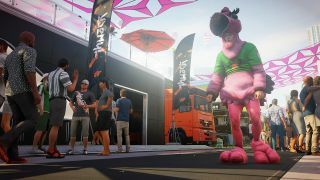 Ever wanted to see the chromed-dome assassin murder someone while dressed in a garish flamingo costume? Or to watch the life drain out of your friend’s face knowing you’ve one-upped them by offing a target seconds before they could pull the trigger? Now’s your chance. All that for half of the price of what Hitman 2 was merely hours ago. Hurry! It’ll be sold out before you know it.